Excellent, speakers not working for three years, now working fantastically. Excellent replacement, very good value. 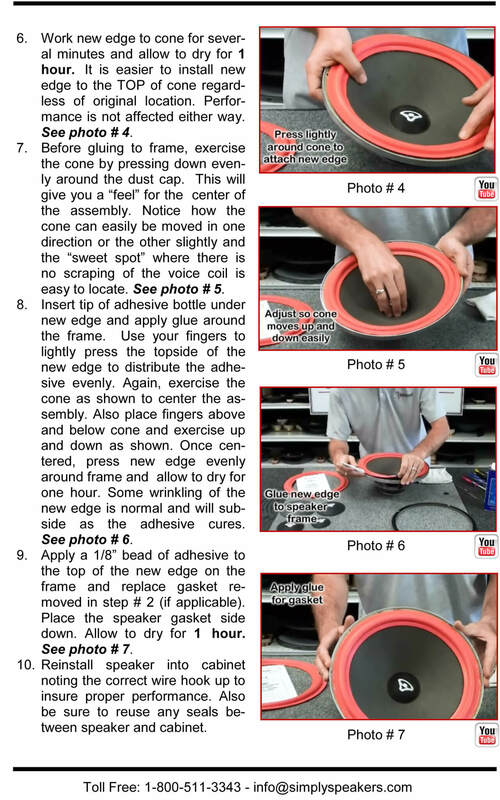 Very clear video and written instructions. Simply Speakers answered all questions I had before the order and carring out the work. Although the job I have done is nothing close to the work carried out in the video, the end result is very good and cost me only 1/10th of what I would have paid to the B&O service. The originals are glued behind the cone, but I suggest using the repair foam in the front, which is a lot easier. I tried both and there is no difference in sound. 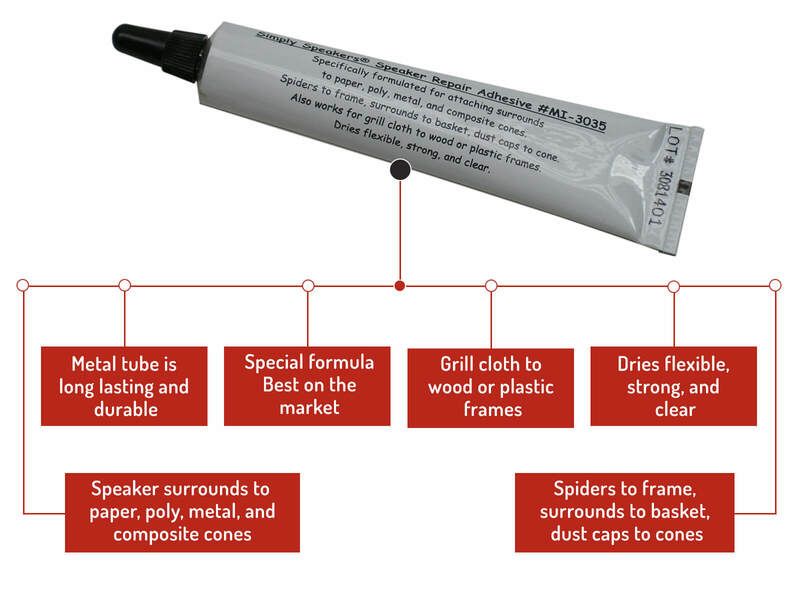 Use the glue sparingly, give the foam time to absorb it and take your time, eventually you will see that it would be well glued to the surface. Share it with your friends. I did and one was sorry that he had not heard about this before as it cost him dearly at the brand service to get a foam replacement. Great product. Very easy to install, even for a non professional person like me. O truly recommend this product and this company to my friends. Last but not least, I must say, excellent support: the staff is very skilled, qualified and always available to help and answer to our doubts. 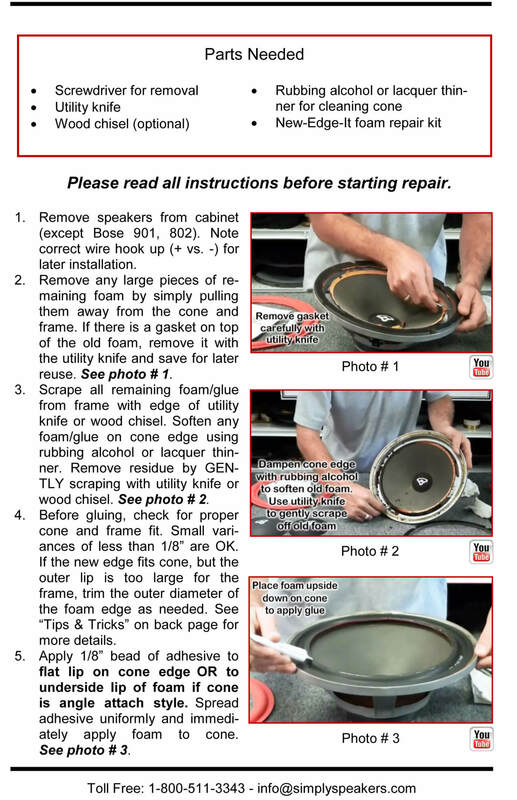 I used the kit to repair 4 woofers which had deteriorated surrounds. 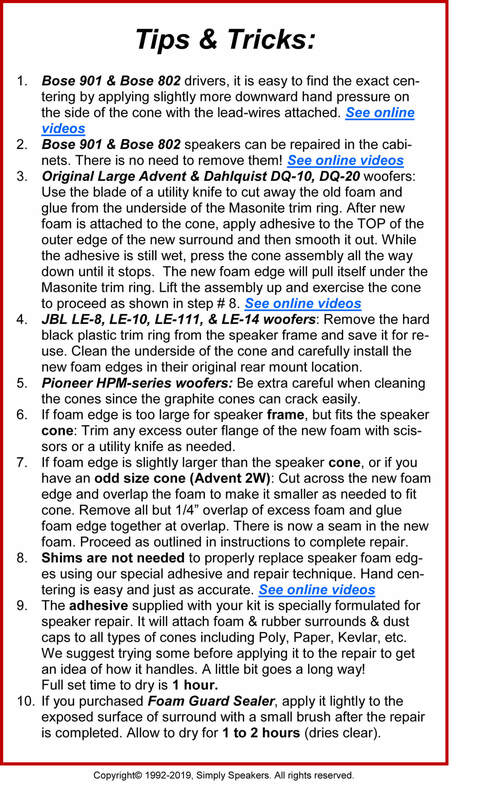 The instructions were informative and the speakers are sounding great again. 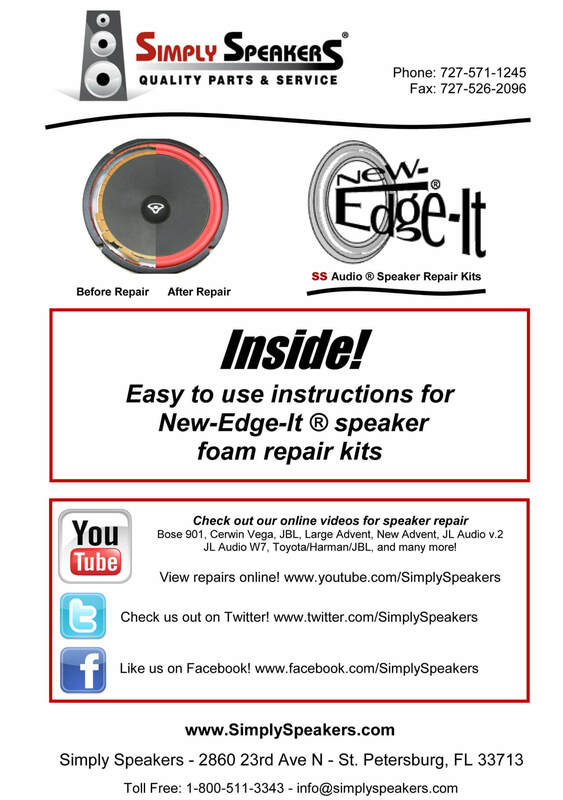 I would recommend this kit and the service provided by Simply Speakers. 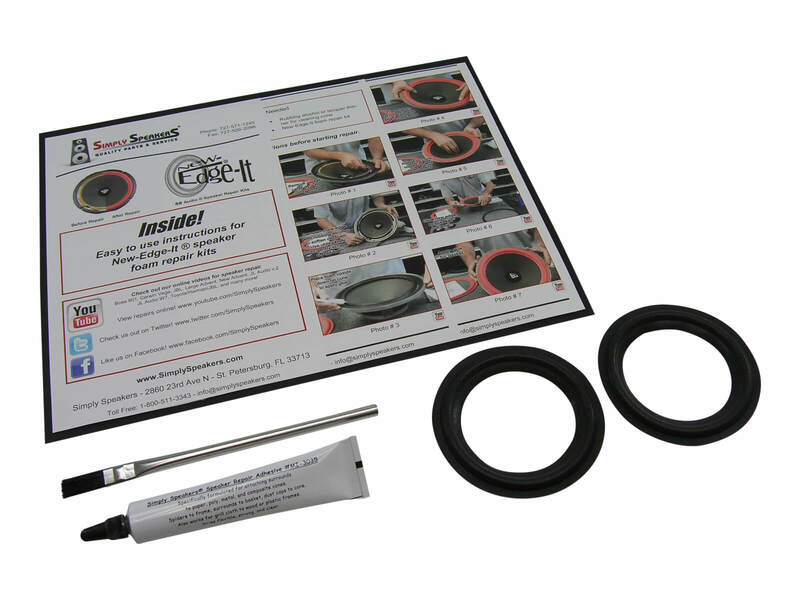 This surround repair kit was for a pair of B&O Beolab 6000 drivers. They fit as perfectly as if B&O had made them. This particular item is, as is with many things B&O, very unique and tricky as far as dimensions. If you look at "kits" offered by other venders you will find comments that they did not fit exactly. These were a precise fit and perform just so. 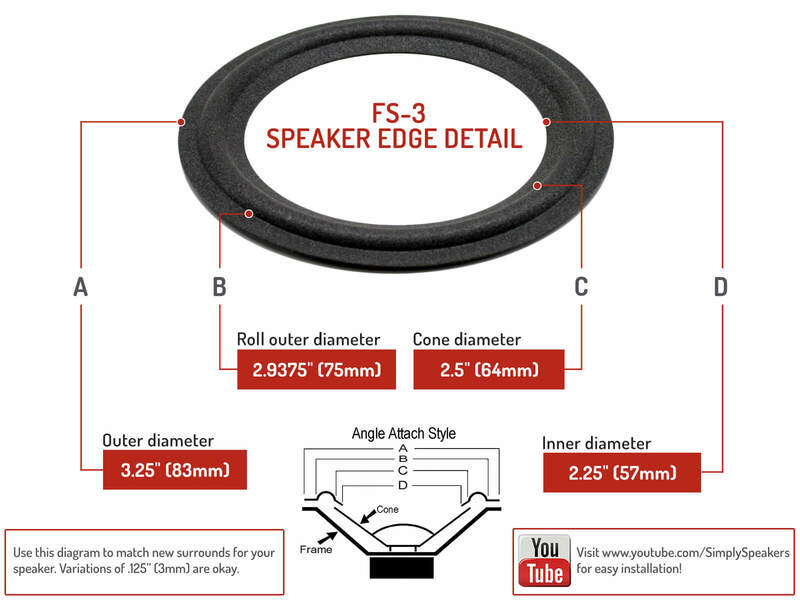 I have used Simply Speakers in the past for surrounds and will do so in the future I am sure. I would, however, advise SS to place them in a simple plastic zip bag and place the invoice over them so when you open the box with a knife you do not cut them due to the surrounds flopping around in the box willy-nilly. This actually happened to me so it is, in fact, an issue. SS? 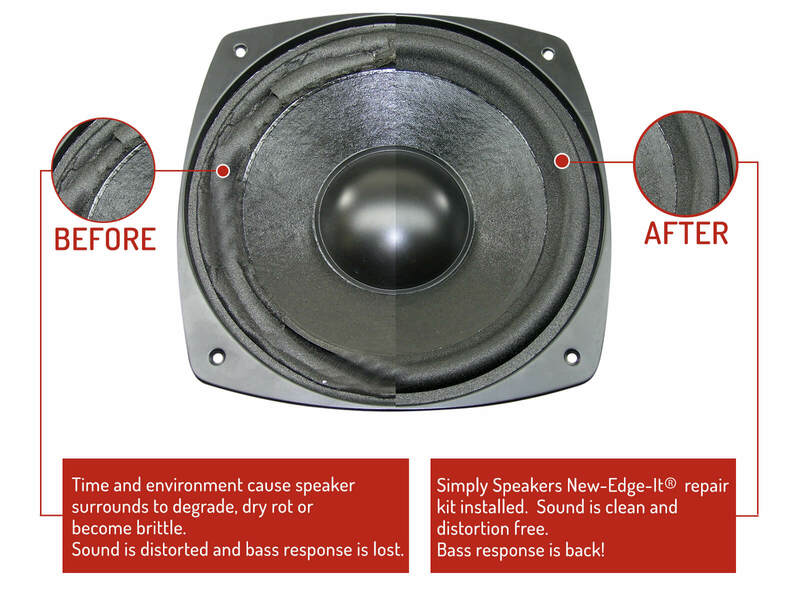 It was soo easy to repair my speakers with the Repair Kit, that I can only rekommend it to other just to do it them self, SUPER RESULT!!!!!! Received then speakers and installed into my speakers. Love these speakers so much. I have had them for over 22 years and this is the first time I have had to fix them. B & O, Bang & Olufsen: 8480239, 8480248 (older), 8480232 (older), (BEOLAB 6000-older version with 2-1/2" cone), MCMXCII, and many more!